I’m so close to getting to the good stuff in the breakfast room! I have just a little more hardwood flooring to install in the pantry. That should be done today. And then I have to figure out my lighting, switch, and electrical outlet plan, and run all of the wiring. And that’s where I keep getting stuck. Figuring out all of the electrical stuff for the pantry kind of has me stumped. But once that’s done, and the electrical wiring is in place, I can put up drywall and get on to the pretty stuff! While the electrical plan for the pantry has me stumped, the breakfast room is a bit more straightforward — two or three electrical outlets, recessed lights, and one pretty pendant light over the breakfast table. That’s the fun part! And I’ve been on the hunt for a pretty pendant light to go above my dining table. After much searching, I’ve narrowed it down to just a few that I think have real potential. 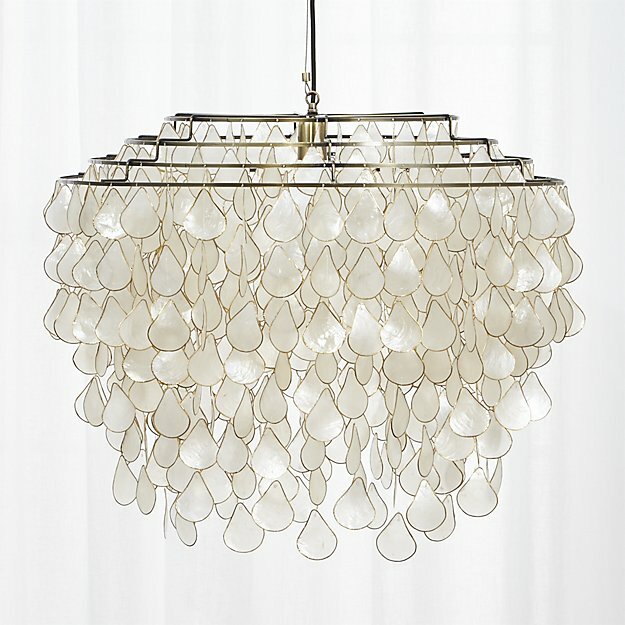 My favorite is this teardrops capiz chandelier from CB2. I’ve been a fan of capiz shell chandeliers for a very long time now, and this one is a reasonable price ($349) for the size (27.5″ diameter). I love the soft and airy look of it. 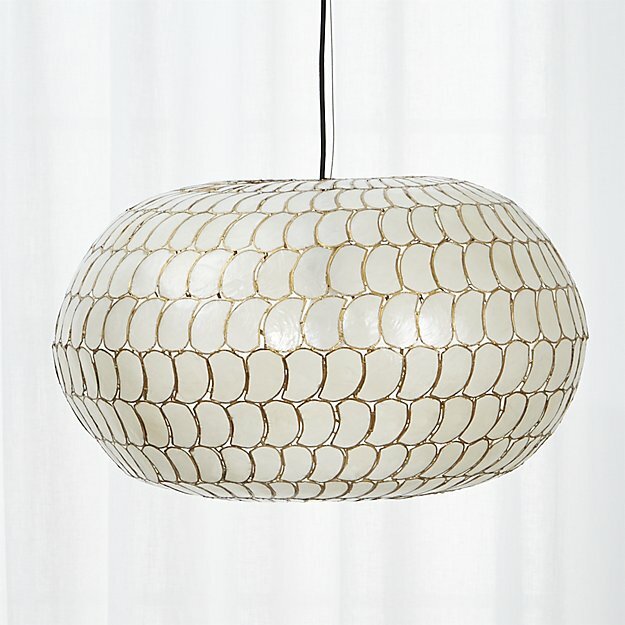 But in a close second place would be this luna capiz pendant, also from CB2. I like that that one is still light and airy, but has a decidedly more contemporary look to it. It would also be a heck of a lot easier to clean than the first one. 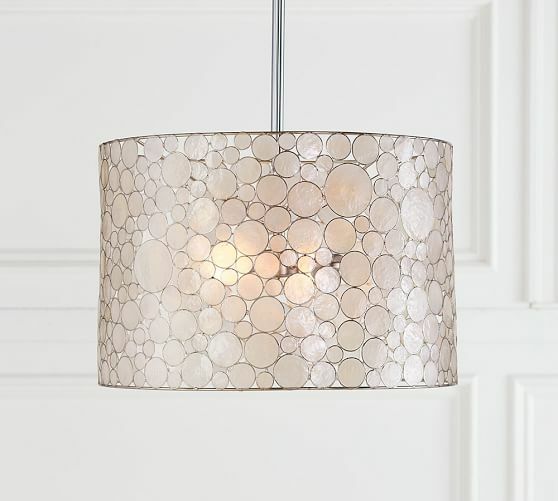 And then I also really like this marina drum pendant from Pottery Barn, which is also a capiz shell pendant. I really love capiz chandeliers and pendants. Can you tell? 😀 I just think they would look so pretty in front of my new windows with the sunlight glimmering off of the capiz. And then for something totally different, I’ve had this dotted metal drum pendant on my wish list for a while now. To be clear, I’d never in my life pay $1200 for a pendant light. 🙂 I could swear that I’ve seen similar pendant lights for a much lower price, though. But even though I’ve had that pendant in my inspiration folder for quite some time, when compared to the capiz shell lights, it almost looks too harsh and heavy to me. I’m just really drawn to the light and airy look of capiz for my breakfast room. I love lighting. 🙂 I can’t wait to get my design plan put together so that I can see which of these lights would be the best option for my room. I’m really hoping that the first or second one will work! Those are definitely my favorites. I vote for the first one! It’s bee-yoo-tee-full! Light and airy to the max. The first one is too fussy for me and would be a nightmare to keep clean. Plus it doesn’t really say “breakfast room”. I *love* the 3rd one (Pottery Barn Drum Pendant) and that would be my choice. I’m chiming in too. Love number 3 although I would rather it edged in gold. I like the look of number one but cleaning it would be torture. Me too love this one but of course it is yours not mine. I concur with the rest of the ladies….#3 is very pretty and my fave of the bunch. I know you have gold in the kitchen which would tie in #4 but I agree that it does seem to heavy for the breakfast room. I prefer the third one too. It’s light and airy, easy to clean, and has classical lines. For what it’s worth, I prefer the rounded “luna” fixture. I think it’s still elegant but not so elegant that it says “formal dining room” instead of “breakfast room”. If you’re really challenged by electrical placement in the pantry, I think I’d just go with flexible. Make sure you have at least 2 pairs of outlets on the counter (4 total) or recessed under the upper cabinets. Place a couple behind the lower shelves on any shelving units you’re going to build so anything you want to plug-in to recharge on the shelf would work. Then, maybe, place another in the toekick of the lower cabinets for good measure. Obviously, if you know where your freezer is going, put a dedicated one in for that. If you don’t, just guess. 🙂 As for lighting, you really just want a nice bright light, probably flush with the ceiling or a couple of can lights over the shelving so you can see what you’re looking for, and if you want accent lighting in the cabinets, leave wiring for that, too. The only thing that you might want to consider a little more carefully than that is if you plan to have any taller rechargeable devices like electric brooms or dustbusters that are going to hang on the wall. If so, choose the wall that will have those and maybe put an eye-height outlet to plug the chargers in and keep cords from stringing down the wall to the lower outlets. Another thing you might want to consider (I think this was mentioned in a previous post somewhere) is one of those door switches that turns the overhead light on when the doors open. However, I’m pretty sure those can be retrofitted in as long as your main switch is near the door. Justin you sound like you are probably a contractor. ?? Or just a handy guy. I think Justine has some great suggestions! You might think about a fluorescent as your major light source with some under cabinet lights for your countertops. And, you can never have too many plug ins! I love your first choice for chandelier in the breakfast area…#2 is also nice. Either is a bit more casual and adds a bit of whimsy! I agree with Justin from the light fixture to the receptacles! I vote for #3 – The capiz shell drum from Pottery Barn. I agree that #1 would be extremely difficult to clean. PS Tomorrow do we get to see what you accomplished over the weekend or did you decide to take a “breather”? I didn’t take a breather, but I didn’t do anything particularly exciting and blogworthy, either. 🙂 I spent one day getting all of the windows insulated on the inside, and finishing up the flashing and waterproofing on the outside. Necessary, but not exciting. But I am hoping to get the rest of the flooring done today, and get all of the tools and sawdust cleaned up so that I can get some “here’s what’s been done so far” pictures for tomorrow. I’d love to see how you’ve done the flashing and waterproofing on the outside. Oh, I can direct you to a great source! This guy’s videos are fantastic, and I pretty much did exactly what he did. My windows had a nailing fin, but if you don’t have windows with nailing fins, he also had other videos about different types of windows. I love that the gold fixture would pull from the gold leafing in your kitchen cabinets, but might be too much for a casual breakfast room. I don’t think you could go wrong with either of the first three. They are all beautiful. I just love it so much. I get so many compliments on it. I don’t bother too much with cleaning it. I just very lightly run a Swiffer duster around it every few weeks. I am too terrified of breaking one of the shells. I was thinking the same thing as far as cleaning the first light fixture, just running a swiffer duster around and in between it once a week should be sufficient for years. At some point if it has started to pick up grimier dirt I would just wash each one with a rag and windex but I am doubting you’d have to do that very often at all. I really like your rectangular light. It is simple, but pretty and light and airy. Kristi, Do you have any plans for pendants over your peninsula? No, I don’t. My kitchen is kind of small, and I think pendants + a decorative ceiling light in the kitchen + a decorative pendant over the breakfast table would be too much. This is not completely relevant, but I’m kind of fascinated lately by LED strip-lights that basically peel and stick (depending on the style) and then run over low voltage. You can tuck them under cabinets or furnishings (like under a mantel) and behind things to do back-lighting. Plus, some versions are computer hackable to create lighting moods (I’m a programmer). Like recently, I found these: https://www.amazon.com/dp/B01BKU7B7I/ I’ve been trying to wrangle the lighting situation in my cubicle at work because my co-workers like the overhead lights off and I’m wondering if something like this would help my eyes and the glare. Those peel and stick strips are what I used for undercabinet lighting in my kitchen. They’re awesome! #1 is too fancy for a breakfast room. #2 is perfect and a step up from the humdrum #3. But please Kristi!!! I’ve been loving watching this room pull together. I have pantry envy. I love,love, love #1 but my vote would be for #2. It is easier to clean and the gold around the individual shells pulls in the gold from your kitchen. Also you have stated that you like to work at the table on your computer and I think the focused lighting may be better for that. So I think it would be a better fit for this room. But they are all beautiful! I’m not normally for fussy – mandatory dusty bit piece shades- but that first one is gorgeous! They all are, but that one is stand out. I can’t wait to see what you choose! I have always loved the look of capiz too. #1 I agree with others who think it is a bit too fancy for a breakfast room. And ditto the cleaning horror. #2 is very pretty in and of itself, but I think it has a bit of a retro 50s vibe because of the shape. Doesn’t seem to be quite harmonious with your other choices imo. #3 is very beautiful, and I like the color of the capiz pieces. I think it would be perfect. 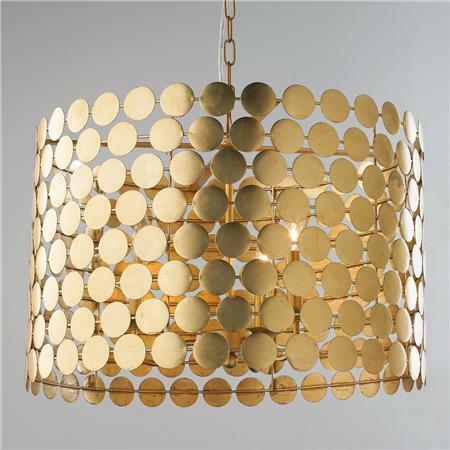 Agree the metal dots drum pendant would be too heavy and overpowering for a breakfast room. Although it sure is an amazing piece. Such fun shopping the options. All are beautiful, which does Matt favor? If he loves them all, more power to you, but they are a feminine look (albeit fresh and beautiful feminine). I love lighting too, it is like choosing jewelry. I remember Matt’s thoughtful gift of the pendant that I think is in the kitchen. Marina Drum Pendent is beyond gorgeous! Thanks for taking us along for the ride. What a joy it is to “watch” you in action. I really like #2 and #3. I think for me, as I love both of them, it would come down to the best price between the two of them. 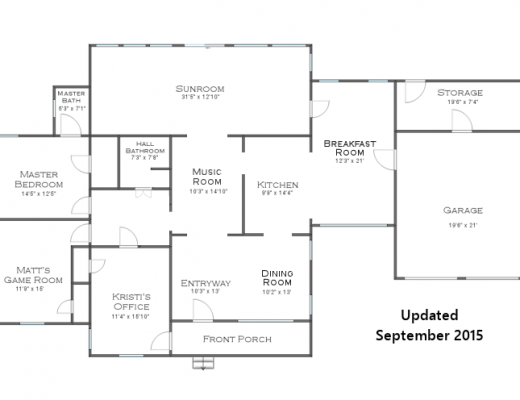 Can’t wait to see your progress, we’re very excited to see your pantry and breakfast room come together. I like them all, but I LOVE #3! Instead of outlets along the wall,I’ve seen electric outlet strips mounted under cabinets that don’t show, and no matter where you need to plug something in, there’s a plug right where it’s needed. Love, love, love number 3!!!! Always love reading Justin’s advice and input. My vote would be for number 1 or 2. And, I can’t see where keeping it clean would be that difficult. I have one of those adjustable long handled swiffers and do all the chandeliers and ceiling fans once a month or so. I vote for the third one; then, the second one. The first is pretty but I can not imagine Keeping it clean. Just the top of the fridge is a chore for me! I vote for #1 or #3. I like the third one. It looks pretty, would reflect sunlight nicely and is light and airy. Hope you can find one in your price range. Have you looked at Lowe’s or Menard’s online? They both offer quite a few light options. I’m like most of the others – go for No. 2!! Fits better for a breakfast room and easier to clean – practical and beautiful – what could be better than that?!! I love lighting too! I’m a little weird, in that I don’t like to pay too much because I like to change it. I do like your first choice though. Thought of the blog last week, I’m chasing tree trimmers who show up, sound good, then ghost. Ugh. But also wondeted…OT… how did your shopping helper work out? That sounds so good to me! She’s awesome! She and her M-I-L do it together. They shop for me every Wednesday, and then wash/chop/bag all of my veggies for the week. It saves me so much time each week. Not only do I not have to spend that time grocery shopping anymore, but with all of my veggies washed, chopped, and ready to go, my time in the kitchen cooking meals is drastically reduced. It’s awesome! OK, I missed this somehow. When did you get a shopper and how did you get a shopper. That is what I want. How much do you pay her? How did you advertise? I have to have this. With my husband’s memory going, it is like have a small child I have to watch. I can’t take him and put him in the shopping cart! Oh I need this, please tell me more. Oh, and I like #3 but wait till PB has a sale. they are all beautiful but the easiest ones to clean are the best choice. the newness will wear off, you will still like the look, and in 20 years you will not be counting how much of your life you have wasted taking each one of those darn shells off, cleaning it and putting it back on. oh take my word for it, i have regretted this for years now. I like the pottery barn drum one, less to dust! Hi Kristi! I love your blog but have never posted a comment until now. No one in the comments I’ve read so far has mentioned anything about the actual light that the fixture provides. This issue is not a problem in the daytime with your beautiful new windows or even with the recessed-lights-to-be on, but consider your needs and wants while sitting at your breakfast room table. For example, the Pottery Barn fixture can hold 2 60W incandescent bulbs while the CB2 fixture holds 1 100W incandescent or 1 23W CFL bulb. I would definitely consider spending part of your lighting budget on LED bulbs in all your fixtures for their longevity and quality lighting even though the up front cost is more. We have really enjoyed the replacement LED bulbs we’ve purchased so far! As with most comments above, I like #2 and #3. I would also look for lower cost fixtures at less popular sites. With your good designer’s taste, you ought to be able to find great design at less cost. 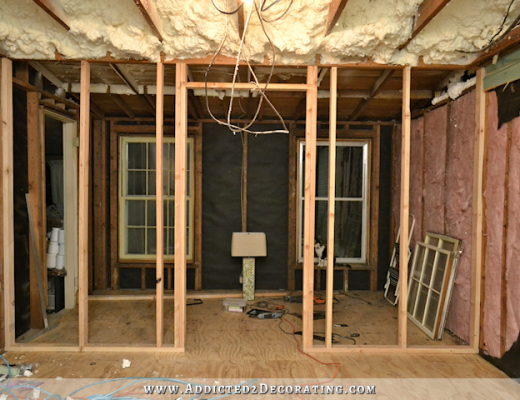 And I too want to see the insulation, flashing, and waterproofing in your blog! No big explanations or instructions; pictures and comments are good! My husband asked if you have to get a permit or an electrician to sign off on the electric work you do to make sure it it meets code? Hard, if not impossible, to sell later without code inspections where we live. Just curious!! Stuff like that is dependent upon the codes and requirements in your area. Here, it’s not required as long as you’re working on your own home. But that could be very different in your city. Have you decided exactly which table you will be using? ( I may have missed it in a previous post or (ugh) forgotten🙄.) Decide on the table first then just put your electrical connection where you want it above. Don’t buy any lighting fixture, other than your can lights, until you have the rest figured out. That’s a decorating issue and I know you want to get “the bones” done first. Also, for your pantry, what appliances other than your freezer will you be using frequently? Don’t forget to leave space for your trash can under a space where your cabinets will go. 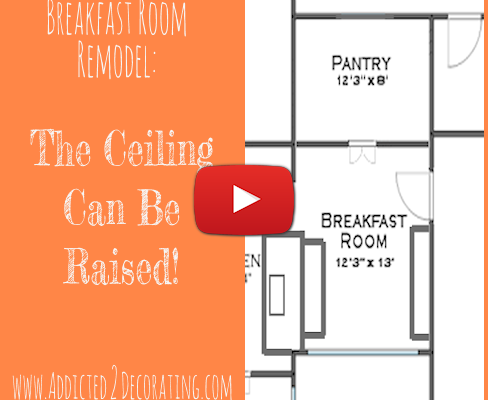 I like # 2 & #3 myself for a breakfast room. #1 is gorgeous, but I think a bit more formal for a breakfast room. Seems more suited to dining, entryway or master bedroom. Electrical planning is complicated, for sure! Ours came out a bit annoying, but nothing we can’t adjust to. The biggest issue we have is that the builder was told we wanted undercabinet lighting hard-wired, and he didn’t do it that way. They put outlets inside our cabinets and want to drill a hole in the bottom of the cabinet to thread cords/plugs thru!!! All taking up space in the cabinets. So we told them to forget it. We are going to get a different electrician in to see if HE can hard wire them. If not, I will think of a less intrusive something or other. We know it can be done, because we had that in our previous house. I just wanted to make a suggestion if you have a cabinet that is 18 inches deep or narrower. I slanted the shelves and added a front lip on mine so I could lay cans on their sides . They can roll forward as I remove one plus can see at a glance what is on that shelf. I like 2 or 3 personally. The dotted looks trendyish. If you love 1, have the new house cleaners tackle it when needed. If you don’t smoke or have lots of greasy cooking it shouldn’t get too dirty too often. Buy what you love. I love the Capiz ones but a word of warning about option 1…. any time there’s even the slightest breeze/air in the room those loose shells will clink together like a wind chime!! I know from experience 😊 At first it seems nice and serene and then it gets annoying, mine had to go! My sister in law has a “baking center” that has the mixer, blender, food processer plugged in with plenty of workspace and all the spatulas, spoons, etc for mixing are stored where they are actually used. She also has space for the ingredients, sugar, flour, spices, baking powder, etc. Hers is behind folding doors and I have copied it in my house. I would have something like that in my pantry so nothing has to be moved to do your baking and nobody sees a mess in the kitchen. I would have plenty of electrical outlets in the pantry for future use as well as now. Just a question about the light fixtures since I can’t tell from the pictures. Are all of them open on the bottom? I remember you posting that you really don’t like hanging fixtures that are open on the bottom, so unless you have changed your mind, you may want to keep looking? If it were my pantry, I would have a plug at least every four feet on the counters. So many of the small appliances have very short cords these days, so you will want an outlet where you want to use the appliance rather than using the appliance where you have an outlet. I vote for #1 or #3. I love capiz shell chandeliers the soft,Light and airy.I really love capiz chandeliers and pendants.light can affect our mood. It influences the ambiance of our home. At first i was going to say #1, but as i scrolled down, i had to change my mind when i saw the last one. Our pantry is much smaller, but a walk-in nonetheless. This is pretty standard, but our light is a motion sensor so when you walk in the light comes on and then shuts off at the designated interval you choose. As for as your light fixture, any of them could work just fine. You have to do what you want. I don’t believe there is a “too fancy”, it’s all in how you pull it all together. People put chandeliers in their walk in closets quite often. Life is short, live it up!! I can also identify with your practical side. I am very logical to the point of boring sometimes, but after building my second home this past year…..I splurged on a nice chandelier. It works very well with my eclectic decorating style! And….most importantly I LOVE it! It too will be time consuming to clean. I wouldn’t give it up for anything. saw that others were adding tips about outlets and thought I’d put my 2 cents in. I visited my cousin this last week in her million dollar home in the Rocky Mountains. They had outlets for their phones around their bar. So just wanted to throw in that with today’s technology and the way everyone is always checking their phone first thing in the morning while having coffee, you might want to make sure you have an extra outlet easily accessible from either the breakfast table or the bar between the 2 rooms.